In a life as crowded as that of George Frideric Handel, there is often something with which one can find a personal connection. I have always felt a natural and deep-rooted affiliation with Handel’s travels to Ireland, as part of my family hails from Limerick. Late in 1741 Handel went to Dublin with some musicians who included Thomas Arne from Vauxhall Gardens. The performances they gave there included the premiere of Messiah on 13 April 1742 at Neale’s Musick Hall in Fishamble Street. After I’d had several seasons conducting Messiah and Handel’s operas I was fortunate to be awarded a scholarship by the Finzi Trust which meant I could go to Ireland, and research more deeply the Handel archives, manuscripts and journals. 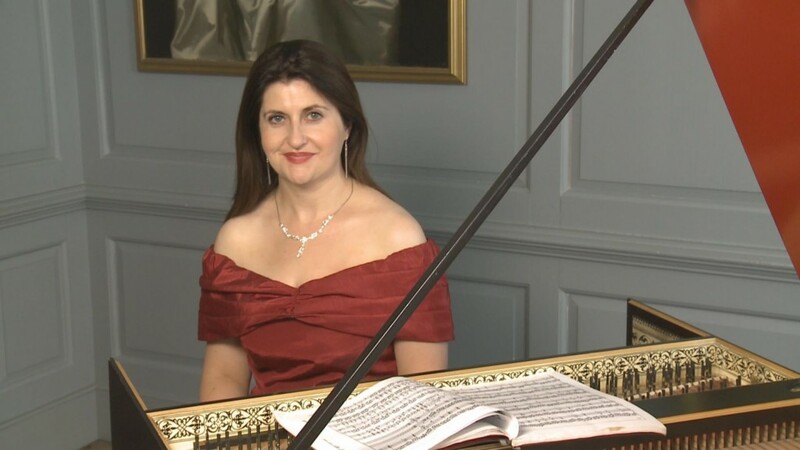 Then, in 2011, I recorded a solo harpsichord CD, Handel in Ireland, accompanied by detailed CD notes of my research. This became the first of a series of CDs, Handel in Italy following in 2015. It was in 2011 at the Handel & Hendrix House in the West End that I met David Coke1 and came across David’s most distinguished, in-depth and definitive guide to Vauxhall Gardens, Vauxhall Gardens: A History (Yale University Press 2011), co-authored with Dr. Alan Borg – it’s now a personal favourite in my own library. Knowing of the late Gerald Coke’s Handel Collection at the Foundling Museum and having met his son David, Handel at Vauxhall (Signum Records SIGCD428) seemed to me and the trustees of London Early Opera a natural next step in the development of the Handel series. Signum Records were delighted to be able to produce and publish this series of CDs dedicated to capturing musical highlights in Handel’s life and travels. 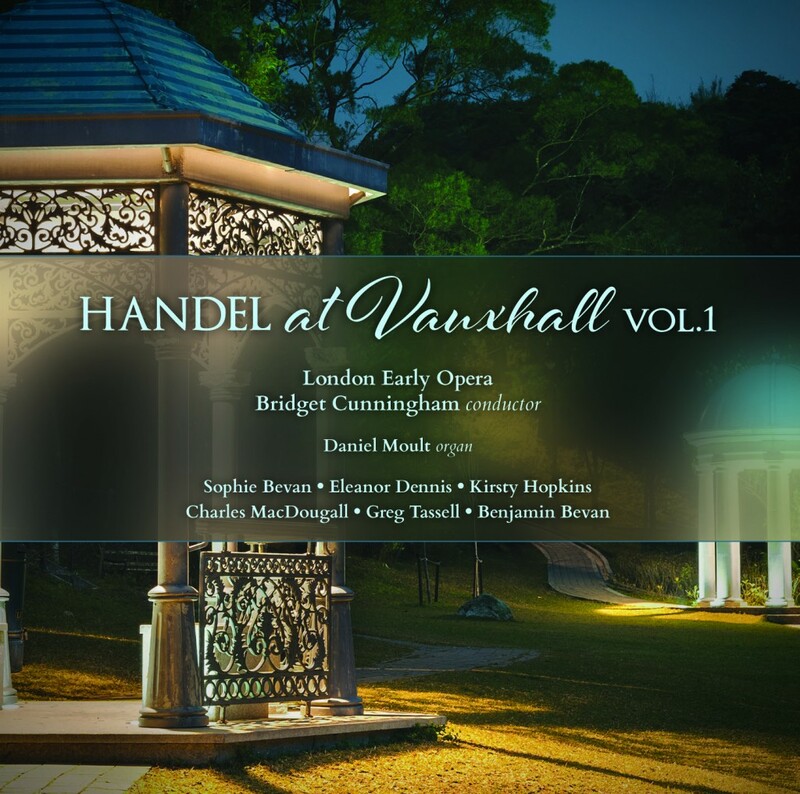 Handel still a hit: Handel at Vauxhall Vol 1 ‘entered one classical music chart at No 12’. To reconstruct a musical evening at Vauxhall Gardens in the 1740s required extensive research and selection. I edited and rehearsed this wonderful music with Early English Opera to recapture for the very first time the true essence and importance of Vauxhall’s music and song, along the way shattering the myth that it was ‘easy listening’ or mere background music to a stroll in the pleasure garden; this was high-quality contemporary music performed by some of the best practitioners. At that time, British musicians and singers would perform around sixteen pieces of music by British composers such as Handel, John Hebden and Thomas Arne every evening, with an interval in the middle. That’s why both these ‘Handel at Vauxhall’ discs contain eight tracks (plus, in Vol.2, some bonus tracks) including an organ concerto, arias, dances, instrumental music and songs. On all the discs in our Handel series, we aim to twin previously-unrecorded material with up-to-date research drawing upon original 18th-century sheet music and song-books (for details, see CD Booklet). 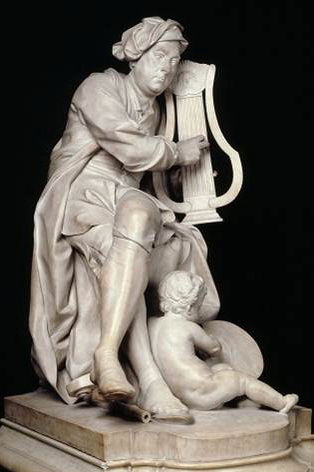 Vauxhall Gardens entrepreneur Jonathan Tyers commissioned from the London-based sculptor Louis François Roubiliac this Carrara marble statue of Handel busily composing (1737-8) which once stood in Vauxhall Gardens. As the publicity-hungry Tyers meant it to, Roubiliac’s depiction of Handel caused a sensation, being both the first statue of a living artist, as well as showing the subject in work togs instead of Graeco-Roman drapery – truly shocking. Surviving the sale of the Gardens for housing in 1859, this remarkable statue is now on display at the Victoria & Albert Museum, London. It was an absolute privilege, and very exciting one, to perform this music in 2011 with London Early Opera at the Grosvenor Chapel, with David Coke narrating the story, and later with Alan Borg in St Peter’s Church, Vauxhall, on the Vauxhall Gardens site. The orchestra and singers were inspired by the anecdotes I was able to share with them about Jonathan Tyers, who was the great proprietor of Vauxhall Gardens between 1728 and 1767 and, with the help and advice of his friends Handel and William Hogarth, also one of the great patrons of eighteenth century art. St Peter’s church is only a short walk away from the site of the Vauxhall ‘Orchestra’, or bandstand, from which the musicians (‘The Band’) and star singers performed. The church carries on the tradition of musical performance on the gardens. As a conductor it was for me a wonderfully joyful experience to rehearse such a glorious repertoire so close to where it was first performed two and a half centuries before. Making my way along Kennington Lane towards St Peter’s and then on past Jonathan Street, Tyers Street, and Spring Gardens Walk – even though the place would now be unrecognisable to Jonathan Tyers himself – it is still possible to sense something of the thrill felt by a Georgian visitor to Vauxhall Gardens, whether he or she approached (like me) from the Kennington side or, as was more usual in the 1740s, by boat across the Thames. Handel in Italy was released last year to great reviews and good airplay. Let’s hope Handel at Vauxhall does the same; on release (March 2016) the CD shot straight to no.12 in the classical charts! What a delight it would be to put up a stage and perform the music in the open air in Vauxhall Pleasure Gardens once more to capture the vibrancy of Vauxhall’s past and present and get everyone promenading again on a warm summer’s evening! Handel at Vauxhall Vol 2, reconstructing the second part of an evening’s music at Vauxhall Gardens, awaits release, due in 2017. The CDs are accompanied by extended notes on the history by David Coke and on the musicology by Bridget Cunningham. London Early Opera continues to research and record and welcomes support and donations to www.londonearlyopera.org.